She is Lovely: **Closed** 1000+ Followers Giveaway! I had meant to put this up last Friday but got distracted and didn't get a chance to. But this is something for a token of my appreciation for all my lovely readers. And that I hit 1000ish followers! :) I am so happy and thrilled that my blog has taken to where it is today! I can't thank you guys enough for all the support and comments. I know I keep saying that but I really mean it! I read each and every one of them and try my best to answer back. I might be slow on it.. but I definitely try! Please feel free to e-mail me as well. I love reading those too. You guys are so sweet! 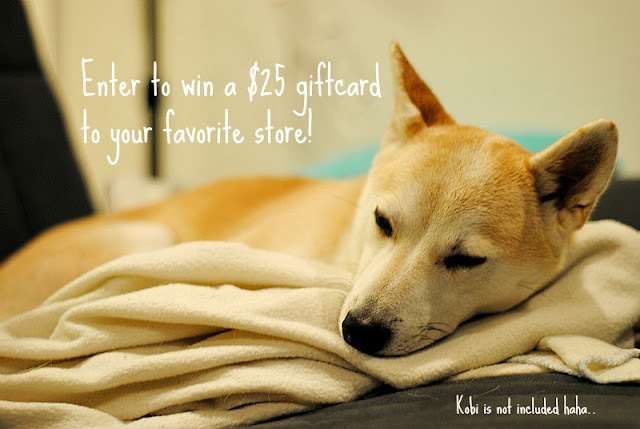 So for this fun giveaway, I decided to give a $25 giftcard to your favorite store! Any store you love to shop at (preferably one that has giftcards..) lol! And since I also have some beauty readers, along with the giftcard, I'll be giving away a set of the Real Techniques Core Collection brushes. I recently found out about these lovelies and they're amazing! Seriously... I have been using them everyday on my makeup routine. So it'll be one winner takes both prizes! How cool is that?? This is open for everyone! Good Luck Everyone! Happy Friday! Disclaimer: The giveaway prizes are purchased by my own money. I love Sephora, Ulta & Target! amazing giveaway!asos is my fav shop.i also like romwe and sheinside. Congrats on 1000 followers, girl! You are amazing! target or forever 21 thanks for the giveaway! Congrats, wonderful giveawy, i have those brushes, they're amazing, Thanks for the visit and for follow my blog, i'm your new follow with gfc #1032, have a wonderful weekend ! I love asos or nastygal! Sheila, Congratulations! Whatever you're doing, you're definitely doing it right. I'm so happy we've became good "friends" via our blogs. I love those brushes. Have a great weekend girl! Oops, I forgot...I don't know yet maybe Forever 21 or H&M. Dang, girl! 1000 followers? You are awesome, congrats! Congratulations on having over 1000 followers! Keep up the good work! I love Target and Ulta :) Thanks for hosting this giveaway! yay congrats! Well you deserve your 1039 followers, you're one of the rare bloggers who actually answer to their readers' comments! I like Target, Amazon, VS, etc. Yay for reaching 1000+ followers and doing a giveaway:)! I have entered! Woohoo, congratulations!!! Definitely J Crew, Madewell and Ann Taylor. great giveaway!thank you so much for your comment!!! I'm a dork so one my favorite stores is Barnes and Noble! I also love target and forever 21. Thanks for the lovely comment on my page! wowwww! 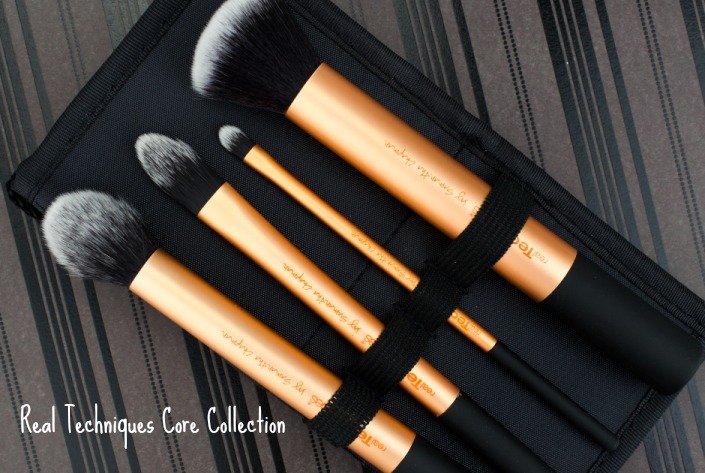 obsessed with those brushes! xO! 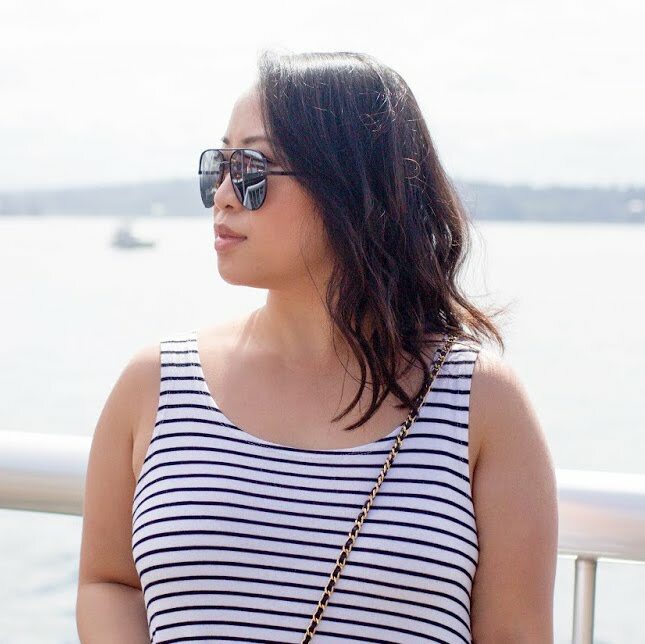 Fashion Blog Trust is created for certified your blog about fashion! In order to establish more relationships,between different countries! fantastic giveaway! I would definitely pick either jcrew or loft!! my favorites are sephora, jcrew, butter london. Nice! You deserve it! I'm one of your new followers! Love your blog! Awesome giveaway! I would love a gift card to H&M, Forever21, and or Marshalls. GOOD LUCK TO ME! I love Forever21, Target and Victoria's Secret! Congratulations on all your followers! My choices would be Target, Victoria's Secret, or TJ Maxx. I'd want mine for Target or Nordstrom! congrats on 1000 followers! this is a great giveaway! Sephora, Ross, and TJ Maxx are among my favorite. Fun giveaway! I'd definitely love Sephora, Asos, Target?! I'd love Anthropologie, Target or Sephora. I am now following and have entered your giveaway! I would love a gift card to H&M or Marshalls. Congrats on 1000 followers!! Wow, winner's choice? So many great options!!! my favorite stores are TJMaxx, Piperlime, and recently I've been loving JCP. Congrats on 1,000!! My favorite stores are Zara, Nordstrom & Nordstrom Rack, and Saks! I would love the gift card to Target, Sephora, or Amazon - all great stores where I spend too much money! Wow! Congrats on your 1000+ followers! I just started my own blog and only have 13 followers right now, haha. I can't imagine how great it would feel to have over 1000! Forever 21, Target or Sephora. Congrats on hitting 1,000! thanks for the great giveaway!!! My top three stores are Zara, Sephora, and Nasty Gal or Forever 21. Thanks for doing such an amazing giveaway! Target, Sephora or Old Navy. Thank you so very much for offering such a fun and generous giveaway. Des chaussures classiques, durables et confortables, qui valent la peine d'être Air Jordan 31 Baskets vôtres. Le pilote et le putter apparaissent juste un peu plus bas de haute qualité en comparaison avec le reste de votre équipement de golf dans l'ensemble. Le défi consiste généralement à s'appuyer sur les acheteurs en ligne qui ne sont pas conscients de la marque aussi pour aider les prospects existants. Bapes est le nom de marque le plus lisse de la mode de vêtements d'aujourd'hui que les fans de la mode Hip Hop resteront en ligne et attendre des heures pour la dernière version. La société Dickies a été créée à l'origine par deux jeunes hommes sous le nom de EE. Il fixe également asics gel noosa tri 10 vélemény sans pinces à l'utilité des personnes. لادارة الشركات والموظفين بشكل افضل واكثر فاعلية اليكم افضل الحلول برامج ال erp في مصر والعالم العربي مقدمة من شركةViewsoft احد افضل شركات المصممة لانظمة ال erp, erp providers in Egypt التي تعد افضل شركات المتخصصة في توفير الحلول وافضل الأساليب ل إدارة الشركات والموظفين, تتميز أنظمة ال erp بمرونة التعديل والتهيئة على حسب متطلبات العميل وسوق العمل المحيط بالشركة مثل افضل برنامج شؤون الموظفينمما يساعد على التطوير والارتقاء بمستوى الإنتاجية والفاعلية للأيد العاملة والشركة ككل.